This comprehensive encyclopedia provides easy access to information on all aspects of cryptography and security. With an A–Z format of over 460 entries, 100+ international experts provide an accessible reference for those seeking entry into any aspect of the broad fields of cryptography and information security. Most entries in this preeminent work include useful literature references, providing more than 2500 references in total. Topics for the encyclopedia were selected by a distinguished advisory board consisting of 18 of the world’s leading scholars and practitioners. 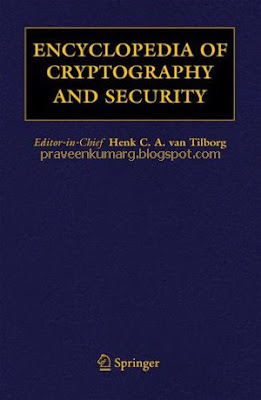 The style of the entries in the Encyclopedia of Cryptography and Security is expository and tutorial rather than detailed and technical, making the book a practical resource for information security experts as well as professionals in other fields who need to access this vital information but who may not have time to work their way through an entire text on their topic of interest.